Watch out! That jackpot you just won might be contagious! Here are some tips for remaining healthy in the casino environment. Temperatures are starting to dip into the 60’s here in Las Vegas. Sure that sounds really pleasant compared to some other parts of the country that have already seen snow and temperatures below freezing. But coupled with the fact that we have about half a million visitors come in and out of our little neon oasis every week, that means the cold and flu season is hard upon us. 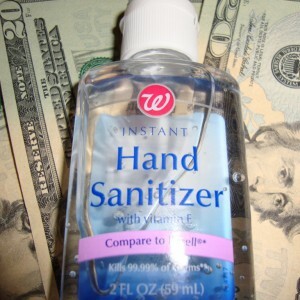 All public places, especially on the Strip but also including local casinos, are fast becoming potential flu factories. I just hit a jackpot. Can I borrow your microscope please? It’s not a pleasant thought, but it is a sobering one. This past May the New York Times reported on a new study about germs and money that projects the potential spread of viruses like Swine Flu using money circulation theories based on data gathered from the popular Where’s George? web-site. It’s pretty interesting, especially if you’re already a fan of tracking where that dollar bill you spent yesterday will turn up next. So, since healthy and sick tourists bring their hard-earned cash from all over the world and lay it down in casinos, restaurants, taxi’s, limos, bars and yes, even strip clubs, it’s rather likely that some viral money is being given straight to our service workers and therefore making its way straight into our general currency. So even if you don’t normally step foot inside one of our bright and shiny palaces of fun and games, the cash tills at our grocery stores, beauty salons, fast-food windows and other establishments all across town are also health hazard zones. Especially this time of year. Don't forget the honey shot! 1) Wash your hands regularly with soap and hot water. Especially right after handling any casino chips, cashing in a winning bet or playing on a slot machine. 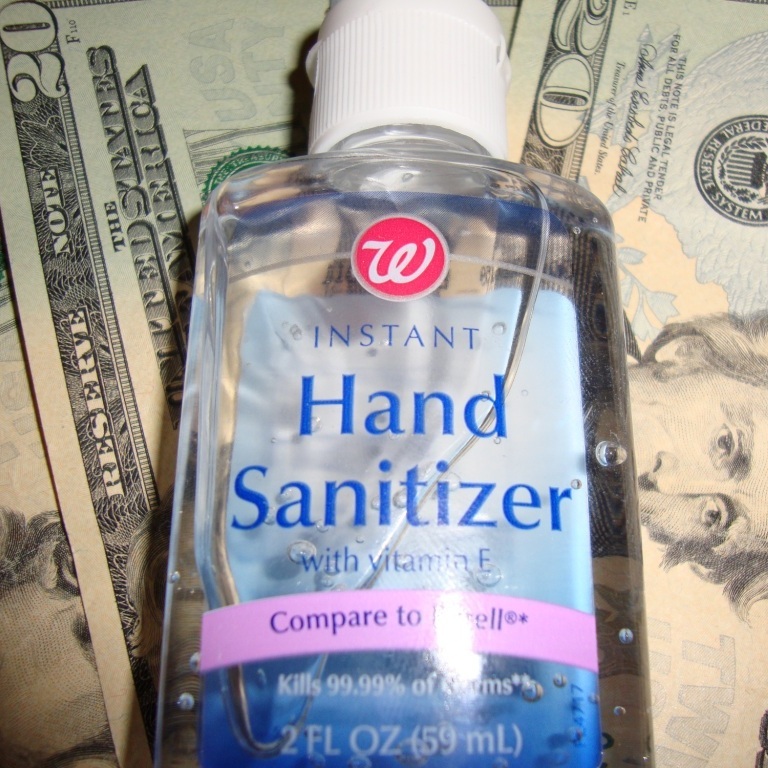 2) When soap and hot water isn’t available, use a “dry” instant hand sanitizer with a high content of ethyl alcohol. 3) Avoid touching your eyes or mouth with your hands. This is sometimes hard to do when the cards or your team aren’t going your way, but sticking a virus in your eye or in your mouth is the surest and quickest way to get that virus. 4) Politely refrain from shaking hands or hugging people that are already sick. 5) If some wheezing old fossil on a ventilator, or a sneezing hottie sits down next to you, get up and leave! If you’re winning, you’ll be walking healthy and up. If you’re losing, you’ll be walking away healthy and not completely busted. 6) Avoid , or at least stay up wind of all smokers. 7) Cough or sneeze into your elbow instead of your hand. 8) Finally, when you get home, squirt some 100% Desert Mesquite Honey (available at Trader Joe’s) down your throat. The fact is, people that get on a plane feeling a little under the weather usually get off that plane feeling a whole lot worse. I base that conclusion on personal experience, not empirical data, but I think most people will agree with it. Being stuck in a closed, pressurized cabin breathing re-circulated air with two or three hundred other people for several hours is what the travel industry calls air travel. I call it a Petri dish. When those specimens, I mean people, are traveling for vacation they tend not to hibernate in bed watching really bad TV after they land. They tend to try and keep up with the party because they’re on vacation. We shouldn’t get mad at them. If we end up with some of their money we should be grateful. We just need to know it might be dirty money in more ways than we’d care to think about. The dogs had their day last week with six upsets and three beats against the spread. This week I expect the favorites will pull their weight a little better but there are some attractive upset plays too. Filed under Holidays, Las Vegas Strip, Promotions: Casinos & Resorts, Shopping & Dining, Transportation, Working in Las VegasTagged with casino health, casinos, dirty money, germs on money, las vegas, Mesquite Honey, swine flu in Vegas, Trader Joe's, Where's George? What does the “honey shot” do for anyone besides enhance Trader Joe’s bottom line and taste good? In the world of holistic medicine, honey is a revered product. It raises your white blood cell count, has natural anti-bacterial properties and strengthens your immune system. It’s great for sore throats too! And as far as the recommendation for a particular brand of honey? 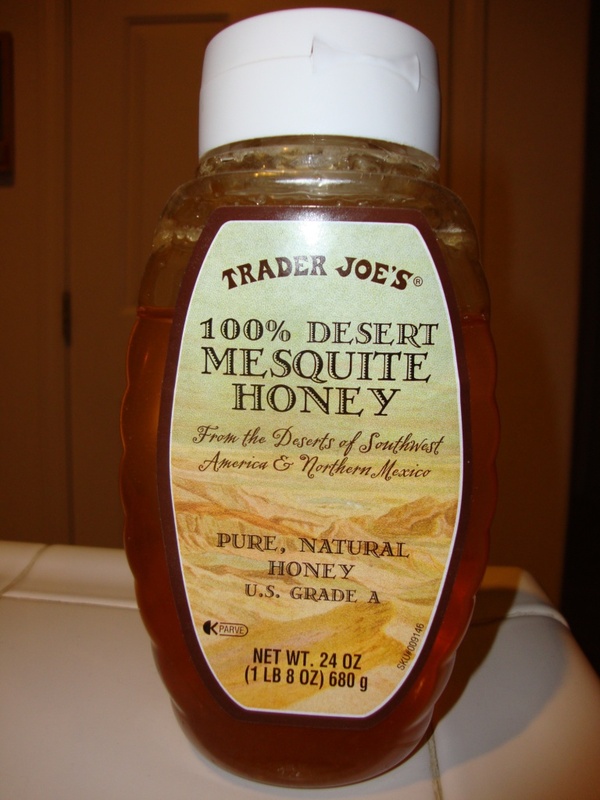 Does Trader Joe’s version offer something that a generic honey wouldn’t offer? Yes. Most generic or “name” brand honey is heavily processed and several aren’t even 100% honey. When natural honey is processed and heated, the beneficial phytonutrients are mostly lost. That’s one of the main reasons organic honey is usually darker than most honey found in common grocery stores. Whole Foods also carries 100% natural honey, but I happen to prefer the Trader Joe’s brand because I like the fact that it’s made in this part of the country so its eco-footprint is smaller, plus it’s a little cheaper.